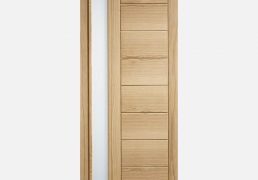 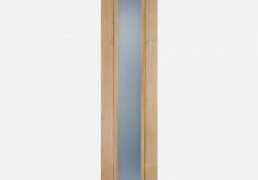 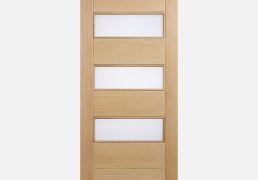 This Copenhagen door features three frosted double glazed panels and vertical grooved panels, complete in Oak with a dowel construction. 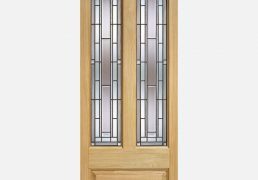 Make a statement with the Granada door design, featuring decorative lead double glazed panels and a raised shaped panel below. 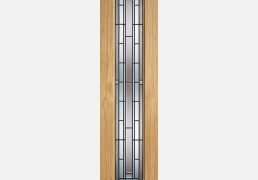 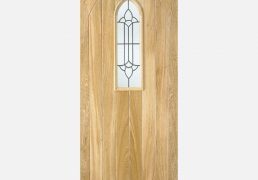 Complement your Granada door with this Granda Sidelight, featuring a decorative lead double glazed panel and attractive Oak material. 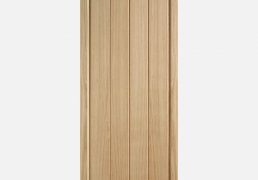 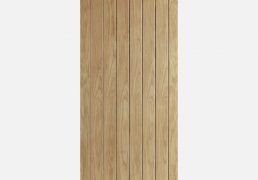 The attractive Norfolk door design is crafted from an Oak material and features vertical grooved panels and a dowel construction. 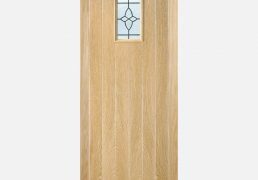 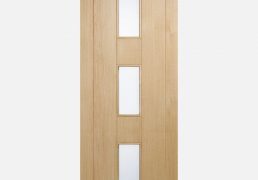 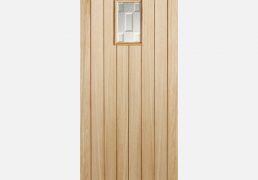 This dowel constructed Oak Stockholm door features three forsted double glazed panels with a ladder-style grooved panel design.